This year spring was a rollercoaster ride in my region, the Mid-South. Where last year spring weather came early, this year it came later with cold temperatures lingering a lot longer and we experienced lots of rainfall. Of course, largemouth bass fingerlings like it warm. 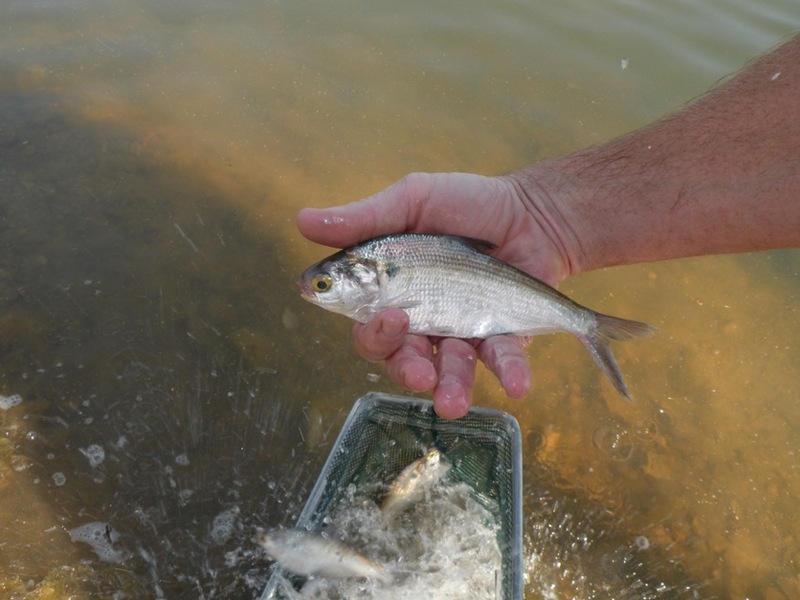 Well, maybe better put: bass fingerlings thrive in warmer temps. In fact, largemouth bass fry growth is correlated with water temperatures. Maximum growth in largemouth bass fry occurs at temperatures of 81.5 to 86 degrees. This is why states in the South, with much longer growing seasons and these temps, have such large largemouth. Though no one has control over the weather fisheries biologists did discover a way to aid largemouth bass fingerlings in growth during the fall when water temps are lower. They introduced threadfin shad into many reservoirs. The introduction of threadfins gave the bass something that was the proper size for them to feed on in the fall. All ages of bass grow faster following the introduction of threadfin shad, simply because of their protein value. Some people stock threadfin shad in private bass lakes to add protein for their bass. They also know a hard freeze will wipe out all efforts. And remember threadfins are recommended for such a venture, where gizzard shad or not. All in all, it is a management plan, that you had probably better check with a professional about before trying it on your own. The average length of a one-year-old largemouth bass varies from about 2 to 8 inches. They can reach nine to 10 inches in the second year, but it’s usually in the third year. Largemouth bass eggs hatch in two days at 72 degrees F. or five days at 66 degrees F.
The wind can have an adverse effect on spawning bass. As it turns out, the wave action resulting from wind velocities of 17-18 mph on two consecutive days can destroy many nests. 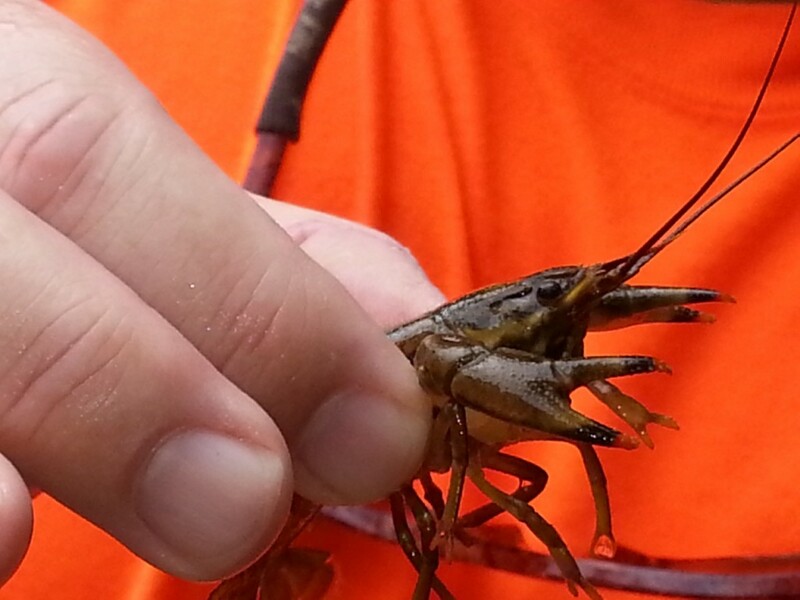 Researchers have confirmed crawfish are the preferred food for bass. During a 20-day series of tests, the 1- to 2-pound bass were offered 1,000 crawfish and 1,000 bluegills. They consistently took crawfish in preference to fish at the amazing ratio of 24 crawfish for every bluegill. In another test, it showed that bass gained tremendous weight when they ate crawfish and actually lost weight on bluegill. So, evidently bass know what’s good for them and crawfish certainly offer plenty of protein. If you are considering creating your own fishing hole, a lake or pond, be sure to check with your Agriculture Extension Service or the fish and wildlife agency in your state. Most such agencies can offer you a lot of information on stocking private waters. 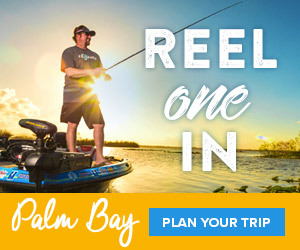 Though there are exceptions to stocking preferences, good fishing can normally be provided in unfertilized ponds by stocking 500 bluegill fingerlings and 50 largemouth fingerlings per acre. In fertilized ponds, the stocking ratio should be doubled, for example 1,000 bluegill fingerlings and 100 bass per acre. Typically, the bluegill and perhaps some other forage fish are established first, with the bass added later so that upon release they will have prey to eat. Of course, don’t let this recommendation be your final word. Do your homework and make sure to check out several other opinions as well. This way the end result is exactly what you want. I am sure the finished product will provide you and your family years of enjoyment, especially if you take time to plan it exactly the way you want it.